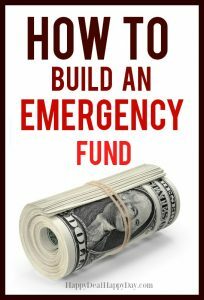 How to Build an Emergency Fund | Happy Deal - Happy Day! Take one month to get your finances in order - learn my best money saving tips and tricks! Success! Now check your email to confirm your subscription and get started on your 20 Day Budget Challenge. Start your 20 Day Challenge! 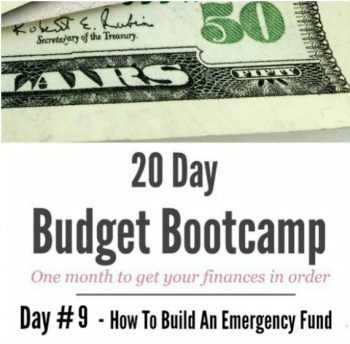 I hope that one category you have set up in your budget is an emergency fund. A great number to have on hand for an emergency is $1000. That way if the car breaks down, or an appliance dies, or unexpected medical expenses come your way, your not back in a hole of debt. Emergencies are stressful enough – let’s alleviate some of that stress by having resources already on hand to help us out of those tough situations. 1. Find Items Around Your House To Sell! Whether its ebay, craigslist, or a Facebook local garage sale group – find a place where you can easily list and sell items around your house. If weather permits and you live in an area where garage sales do well – then schedule one! Be sure all funds that you earn from selling your items goes into your emergency fund. 2. Find An Item In Your Budget That You Can Cut In Half For A Month or Two. Can you use up food you already have on hand and use more coupons to really scrimp and save on your grocery budget for the next two months? Can you turn off cable, or even just Netflix for a few months? How about doing hair cuts at home (easier for the guys obviously). Take whatever you save from these temporary cut backs and add it to the emergency fund. 3. Check Your Utility Bills For Areas You Can Save – can you do more laundry in cold water to save on your water heating bill? Can you get more energy efficient light bulbs for your house? Can you turn down your heat and put on a sweater? When is the last time you shopped for car insurance and switched companies for a better price? Do you have a phone land line that is hardly used that you can just get rid of? Doing little changes like this really do add up and you’ll get your $1000 before you know it! 4. Vow To Not Eat Out Until Your Emergency Fund is Complete. If you have money budgeted for eating out – take that money and put it into the emergency fund. Do this for as long as it takes to save that initial $1000. Then once you reach your goal – be sure to plan a celebratory meal out!!!! 5. Go On A Spending Freeze. We talked about going on a spending freeze just yesterday! Are you ready to jump on board and really try it now? What is the first thing you will try to save up that emergency $1000? 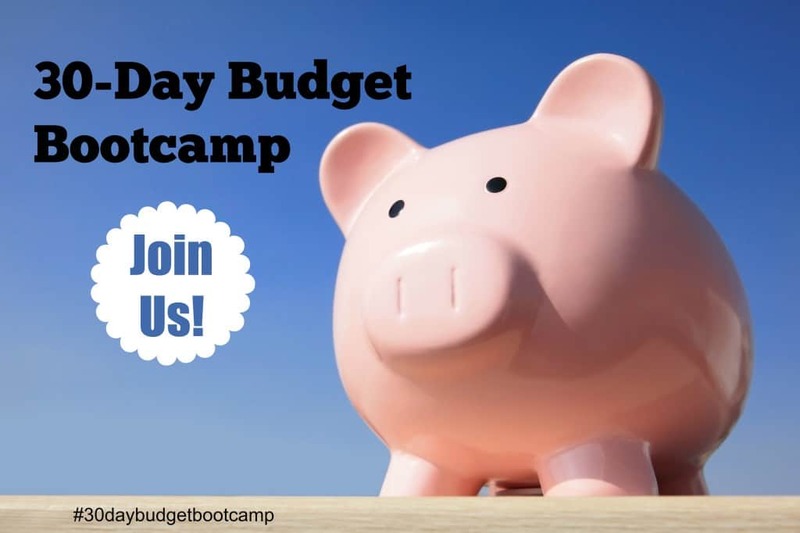 Come and tell us in our Budget Challenge Facebook Group! Want all 20 days of the Budget Challenge to come straight to your inbox? If so, sign up OVER HERE! Speaking of emergencies – have you seen my free printable Emergency Preparedness list of what to stock up on for a 3 day supply? I also have a list of what to keep in your car in case of emergency – print it here!